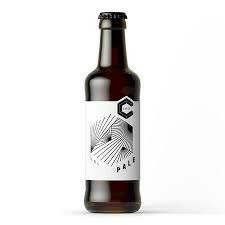 CRATE Pale Ale has the perfect balance of malt and hop flavours, this delicious all-rounder is the result of continuous experimentation and development. The right amount of malty sweetness meets juicy hop character, making a beer that hits the spot every time. CRATE Pale Ale has the perfect balance of malt and hop flavours, this delicious all-rounder is the result of continuous experimentation and development. The right amount of malty sweetness meets juicy hop character, making a beer that hits the spot every time.